Once you step into this gem you instantly feel like you have been teleported to another time and place. You will be welcomed into the stunning piece of architectural masterpiece with a water feature to relax your senses. The photos if you have come across any although beautiful, do this place no justice; the atmosphere I suspect mainly due to the scale of the rooms and the combination of water is calm and brings you down to earth. 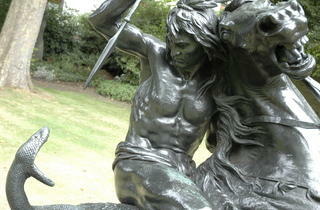 No wonder it was place to such a creative individual such as Lord Leighton. Ticket includes entry to the garden, which is also very beautiful. If you are into architectural details, definitely worth checking out! 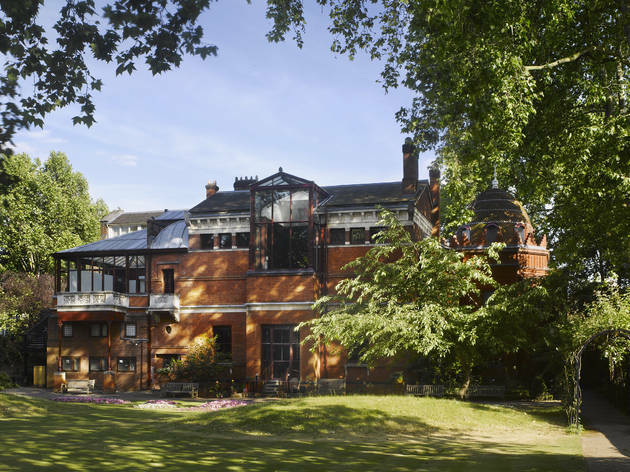 Hidden in the residential area of Kensington & Chelsea and just a 10 minutes walking from High Street Kensington tube station (Circle and District line) you'll find a hidden gem, not known to many in London, The Leighton House museum. 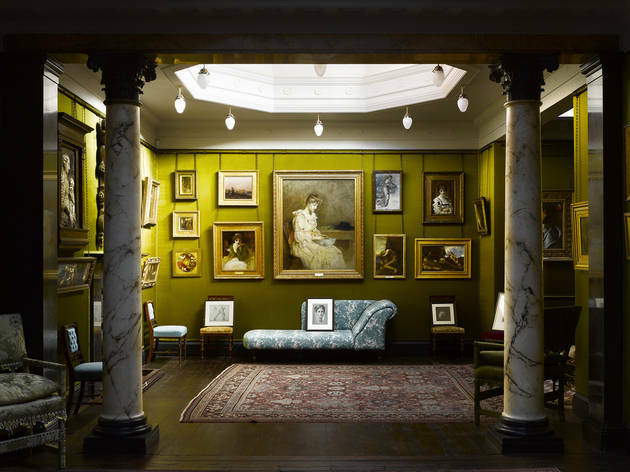 This museum was the personal studio and home of an eminent Victorian painter, Lord Leighton. 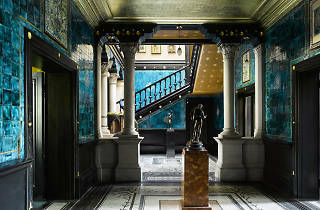 The studio/house looks like a normal house from the outside, but once you enter what use to be the realm of Lord Leighton, you'll be captured by the beauty of its decorations and architectures. 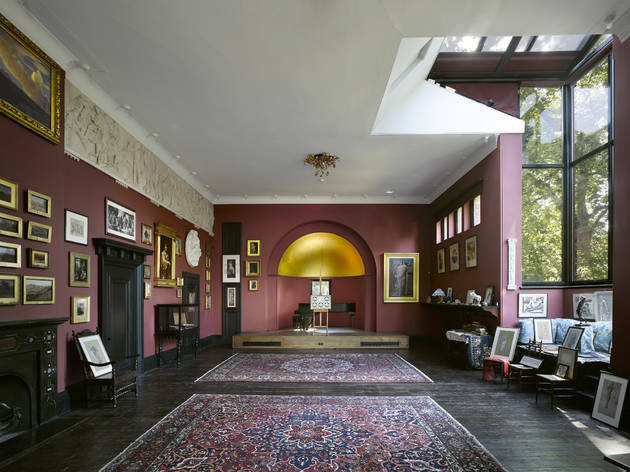 The house was commissioned by the painter himself to a friend , the architect George Aitcheson in 1860 and was filled by Lord Leighton with souvenirs he gathered from all over the world (i.e. pottery, tiles, vases, lamps, etc..) from places as far as China or Syria; and his own works, together with paintings from some of his contemporaries. There are 6 rooms to visit plus the huge living room downstairs. The ticket is well worth the price especially if you opt for a free public tour which is included in the ticket price and takes place every Wednesday and Sunday at 3 PM. Allow yourself to visit an enchanting world while you're around Kensington & Chelsea, I'm sure it will be a pleasant surprise. Stunning rooms , full of atmosphere and drama and presented to the highest standards. You can vividly imagine Lord Leighton entering upon the scene at any moment!An excellent programme of related workshops and talks. On a human scale but rich in history and beauty, a largely undiscovered gem. This is a simply beautiful, magical and unique place. 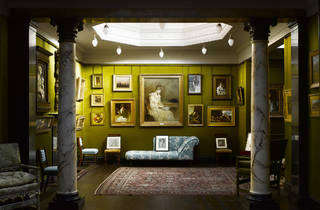 The exhibitions are a well curated and perfectly fit with Leighton's ethos. The Arab Hall never fails to impress! Small but beautiful, a hidden gem unknown to many, a perfect afternoon out and one which will prove so much more popular once the Design Museum opens at the Commonwealth Institute. A Victorian masterpiece of Arabic design by the artist and one time Director of the Royal Academy, Lord Frederick Leighton, that echoes the Pre-Raphaelite love of beauty. 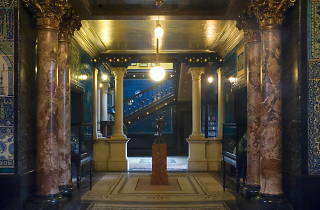 A gallery, an art studio and theatre - a place to linger whilst taking in beautiful ceramics and a gilded interior dome. A real home once, that one of its amazing attributes. Museum with the most atmosphere. The experience is like being in a totally different world. It is simply the most wonderful place in London! A must-visit for everyone. It's completely unique and the downstairs hall breathtaking. I just Love this Museam. A magical place. So much beauty and creativity, one of my very favorite places in London. It is a very rare example of an extremely unique artists studio. 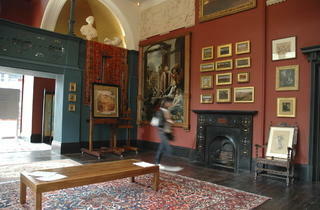 Fantastic place to visit time and time again for both its interiors and exhibitions. Stunning house, full of art, music, atmosphere, learning and scents. Almost makes going abroad unnecessary. The house and gardens are an oasis of calm in themselves. Even better when they are used as a venue for films, exhibitions and concerts. Had some wonderful moments here. A hidden gem that awakens the senses and transports you back to the opulent Victorian era. Amazing house. 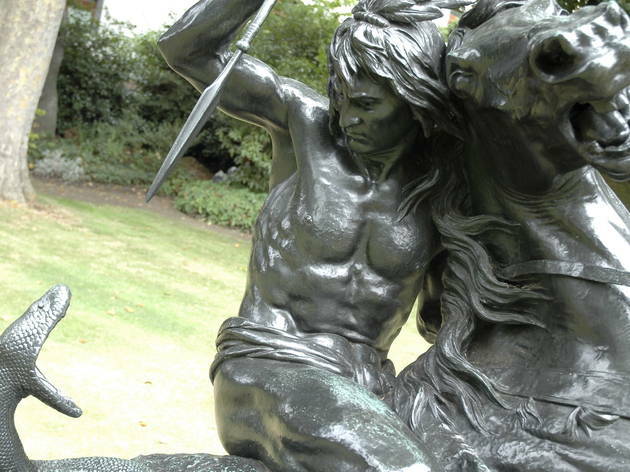 Being restored to its original as when Leighton used to live there. This treasure is away from the tourist trail (no signposting from the future/new design museum and future-renovated odeon cinema on Kensington High Street near Holland Park entrance) but reveals a trove of details regarding victorian times, travels and art. 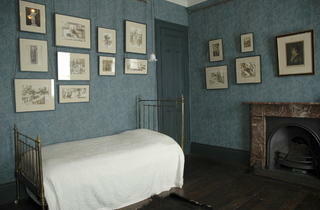 Leighton played a role in art in 19th century which should be better known. I wish LHM could afford to develop an audio guide that gives the visitor the possibility to "hear" more about furniture, paintings, decoration, way of life, the owner and artist, etc. Nice little shop too. Tranquility serenity haven in a Victorian setting! Magical place and always (until now!) felt like a special secret hidden gem! 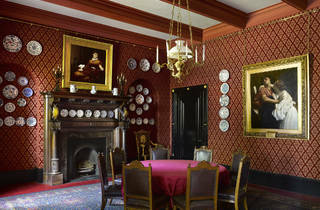 Love Leighton's House and Museum, great charm, character and fountain room, will return again and again. if you have ever wanted an indoor fountain this is the place for you. I have been going here since I was a child and fell in the fountain. It is just lovely. A special haven, always fascinating. I love the canvas post box in the wall of the studio. It is original and splendid; and of real historical and artistic interest. A truly magic place in the heart of London! East meets west in a glorious celebration! 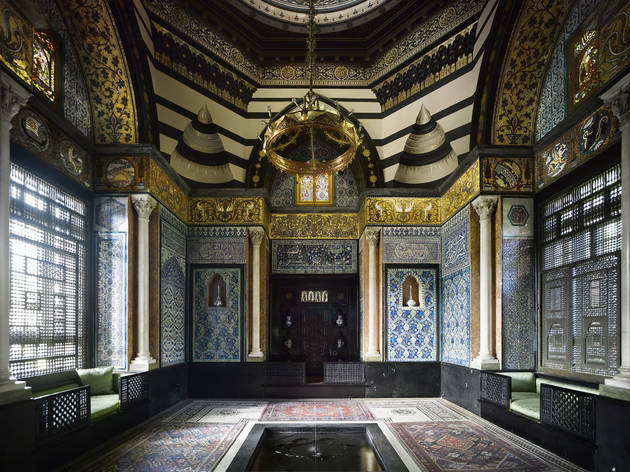 Leighton House is like a secret hideaway in a busy city. Wonderfully calm and exotic. A real treat. Magical place with stories still untold. Quite unique. This museum is absolutely unique with their facade and beautiful garden. The exhibition are very high end and very exclusive. The whole experience is fantastic! 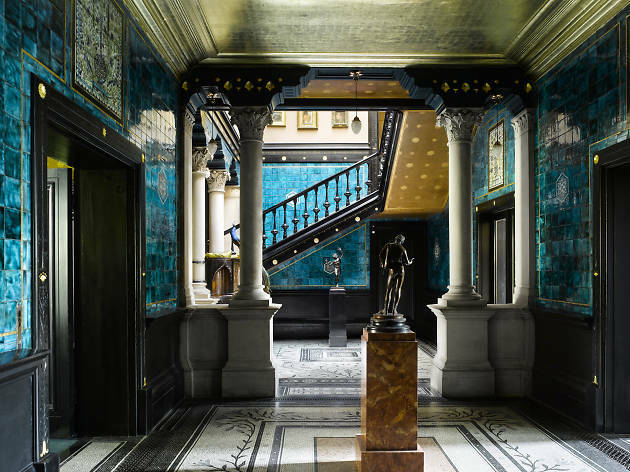 Tiles ,art, courtyard in the house ,the grilles and screens , chandelier..There is so much beauty in this house inspired and sourced by Leighton's overseas travels ..The colours within. .and to boot , a beautiful garden space to sit and ponder. .You could imagine being in England or in aliens. This place is absolutely stunning. I fell in love with the arab hall and its Syrian and William de Morgan tiles. 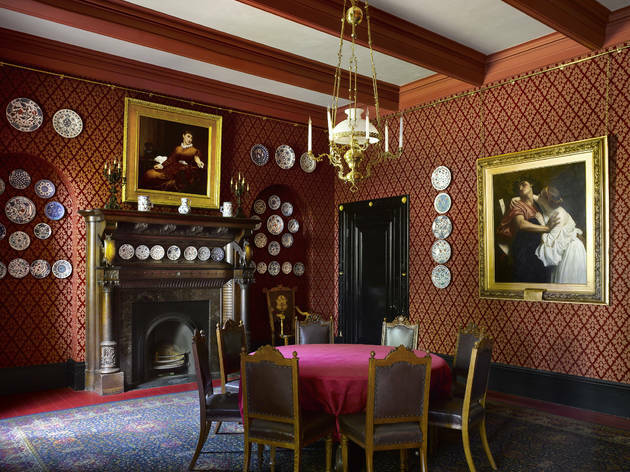 The rest of the house is beautiful too with its decadent wallpapers, authentic Victorian paintings and luxurious persian rugs. I just can't get enough of it! Absolute let down. £10 entry and you can experience the whole thing in under a minute. Honestly you can find more interesting architecture on the Edgware Road. Not even allowed to take photos, I really cant see why i would recommend this to anyone. 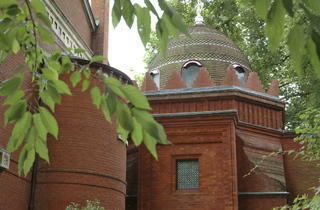 The Leighton House Museum is brilliant little gem tucked away in quiet residential street in Chelsea and Kensington. 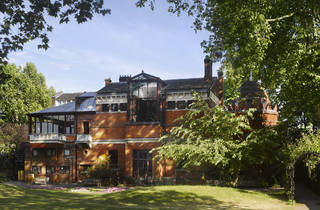 Only a stone's throw away from Holland Park, this museum is home and studio to eminent Victorian painter, Lord Leighton. 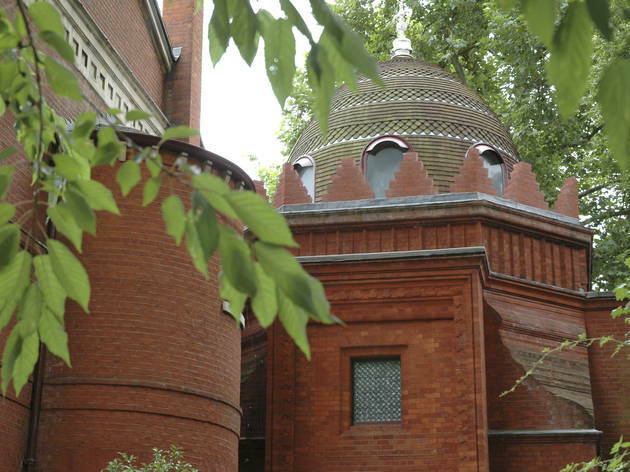 Small but intimate, The Leighton House Museum houses the vast collection of Lord Leighton’s sculptures, painting and artefacts collected throughout his lifetime. It is also the UK’s only purpose built studio open to the public! Despite it’s relatively small size (it is a home after all! 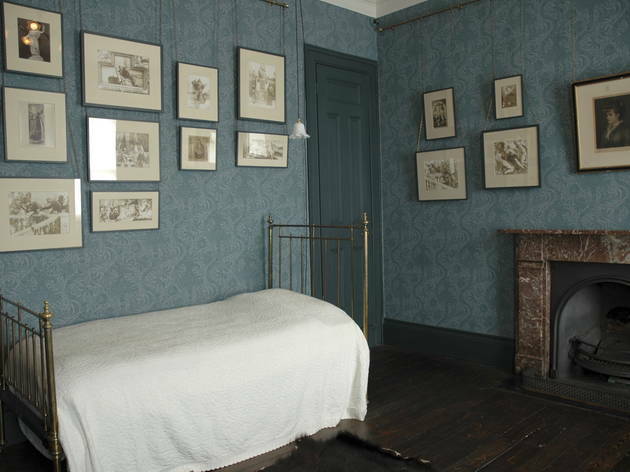 ), there are more than 6 rooms to explore including Lord Leighton’s study, studio room, bedroom and dining room, you’ll wonder where all that time went. What I love most about the museum is how peaceful, quiet and different it is to all the other museum I’ve visited. 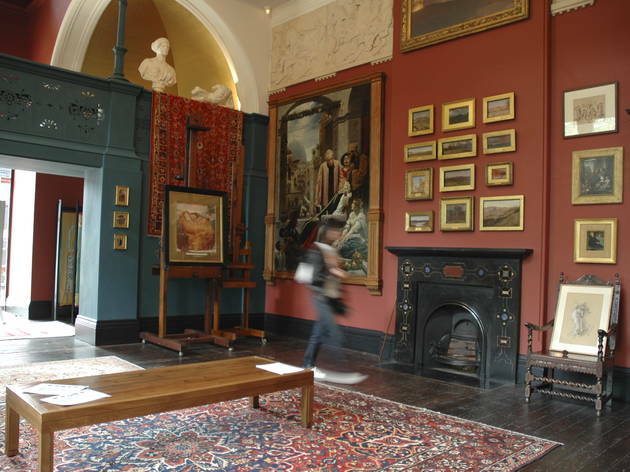 It’s one of those unique places you won’t believe could exist in London due to the vast and diverse collection Lord Leighton collected. The interior is simply amazing too. 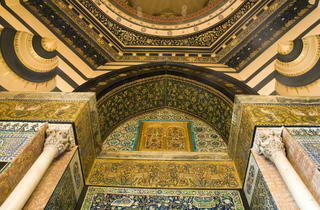 You must see the Arabic Hall complete with a golden dome, a fountain, intricate floor mosaics. 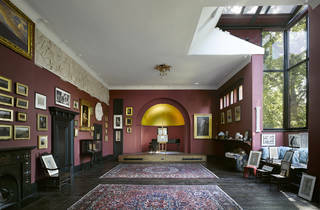 Upstairs, wander in awe at the sheer size of Lord Leighton vast studio. Even the wooden staircase is quite a sight to admire. It’s a little tricky. After all, it is secreted away in a quiet residential street. But persevere and you’ll be rewarded with a peaceful and unique visit to a quite lovely museum. You don’t have to be into art to enjoy this small but brilliant museum. You can simply soak in the peaceful and quiet atmosphere, and admire the incredible decor inside this house, far away from the masses. A great little museum well worthy of the “Hidden Gem” tag. received a friendly welcome when we arrived and was pleased to discover that it is half price for national trust members. 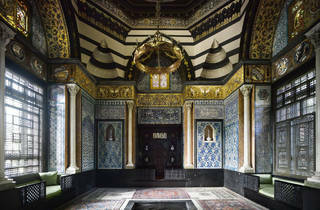 The photograph of the tiled entrance hall doesnt really do it justice, the colours really are stunning. There was an exhibition of work by the pre- Raphaelites throughout the house when we visited which I think is on until May. Really enjoyed our visit here and will definitely come again, next time when the gardens are open. This is a little known museum (maybe because pictures – and subsequently Instagram – aren’t allowed) that is worth a few hours of your time. In a beautiful old house, decorated in an oriental fashion straight out of the 1001 nights, you’ll see a great collection of paintings. But let’s face it, you’ll probably look less at the painting than the amazing Arabic-style blue atrium. A unique and interesting sight in old, posh West London. Note: the garden is only open to the public in the summer so pick your visit day wisely! 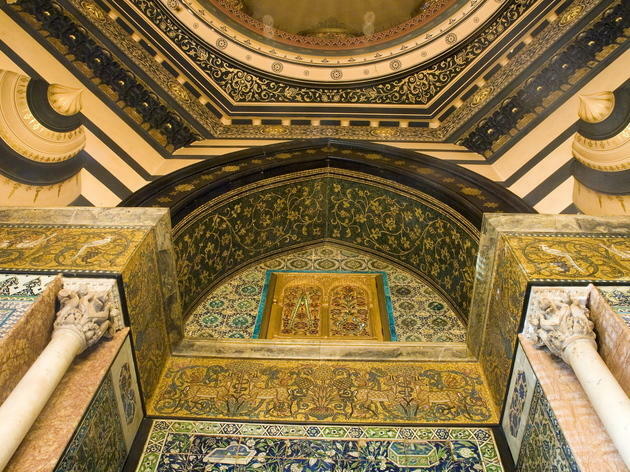 A real hidden gem in W14, the Arab Hall as you enter is genuinely one of the most spectacular rooms in London. Leighton's Victorian art isn't really to my taste but he was a hell of an aesthete cherry-picking his favourites from a huge range of countries. Peaceful gardens, fascinating history and one of the most beautifully decorated houses you'll ever visit. An amazing place, found by chance on the internet and visited on a whim. Well worth the admission price and a fantastic way to spend an afternoon. The building is incredible, the decor even more breathtaking. Can't recommend it highly enough. Such a beautiful place and hidden gem in Kensington. 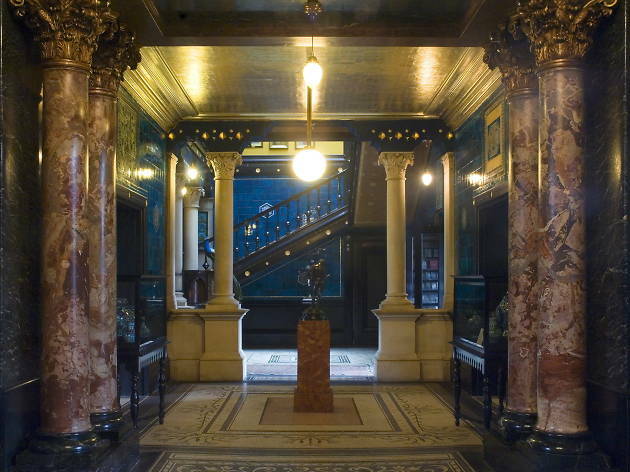 Has the best entrance hall I have ever seen.